Fashion students are always trying to keep up with the current trends. The only problem is that we, as college students, typically can’t afford a Burberry trench coat, or a Gucci bomber jacket. If you can afford those kinds of coats, good for you, but if you can’t don’t worry, I got your back. For this article, I tried to find three of the most trend worthy coats for us students all under $150. Patterns, bright colors, and furs are all the rage this fall and winter for coats/jackets. The key to finding the trendiest coat/jacket at the lowest price is to look for stores that offer student discounts. Although it might only be 10-15% off, it is still a way to save a few extra dollars. Also, most fast fashion stores are known to have all the newest trends at the lowest prices, which can also help you save. Zara is one of the more popular fast fashion stores across the world. Every two to three weeks they are updating their merchandise, so they are able to stay up to date with the latest trends. 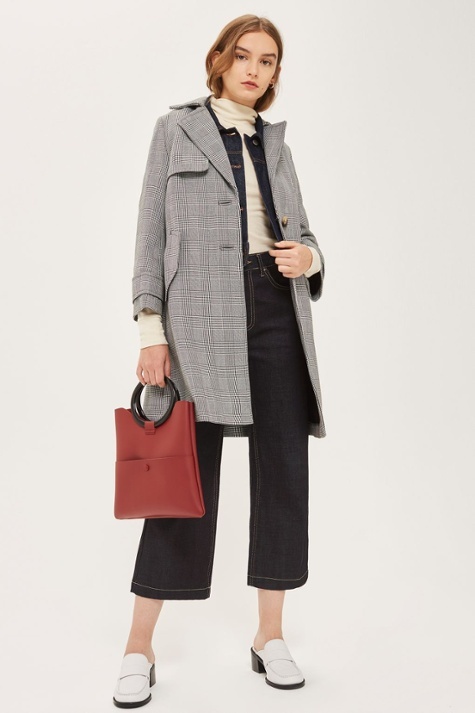 On Zara’s website, I found a tan suede trench coat priced at $89.90 that can be compared to the infamous Burberry trench coat ($750-$2,000). Fur coats are coming back and honestly I’m excited, because who doesn’t like a warm fur coat to bundle up in? Real fur is extremely expensive and is not animal friendly. Faux fur coats are normally inexpensive and also help our furry friends out too. ASOS has an overload of fun faux fur’s that are fairly priced and they also offer a student discount. They are an online store based out of the UK, and has sizes that range from petite to curvy. I found one fur that I would personally love to have in my closet that would definitely be my statement piece for the fall/winter. It’s called the Vila Faux Fur Jacket that is priced at $119. If you compare it to a real or faux fur coat from a higher end brand like Gucci, it would be priced anywhere from $1,000-40,000; you can buy yourself a nice car with that money. The next coat I found, which is my personal favorite, is the Pow Bonded Coat from Topshop for $150. Topshop has a wide range of prices for their products, they can be anywhere from $20-$1,000. They are another UK brand that has an online store and a physical retail stores throughout the world. The coat I found is perfect for both seasons and has a fun trendy pattern with a hot pink lining on the inside. This coat will never go out of style because of the black and white coloring and timeless design. We can’t all get what we want when it comes to high end fashion, but we can set goals to add nice items to our wardrobe. But for right now, we are going to have to settle for items at a lower price. You don’t always have to have the most expensive clothes to look on trend; you could go to a thrift shop and be more on trend than one of the Kardashians.